Congratulations Mr. Groom to be!! Too many costume is a custom in Indian weddings, as Indian weddings are full of functions and celebrations. And when we talk about wedding attires, it seems to be more of a bridal thing. But it is not so now, wedding is special for both bride and groom. Both of them want to look their best. 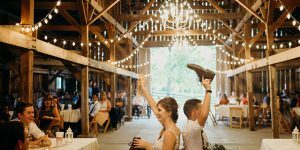 Grooms may have comparatively less options for that matter but still hold equal importance in a wedding. After all, how can our grooms stay afar from those amazingly stylish attires? We Indians don’t like simple wedding. A bit of show sha is mandatory. Unlike old times, grooms today are equally concerned about their looks and attires on their wedding. They want to look their best in the wedding. And that’s how it is…..
Each function in an Indian wedding is a reason to flaunt for one and all, be it male or female. Indian groom outfits can be categorized in a wide range of styles from silhouettes to pattern cuts. Men wedding wear has too much to present today, grooms can have a unique style statement of the details unlike the old times when only different fabric were used for getting a sherwani or kurta stitched. Grooms have varieties to choose from now, for almost all the occasions from engagement to reception! More often than not, wedding suits are widely worn attire for grooms, at least in one function you will see a groom wearing formal suit. But now designers are coming up with variations, hence, there are various options available for the grooms to choose from, for almost all the occasions from pre- wedding celebration to a reception party. There are sundry choices to make from very Classic style to a Designer Sherwanis, Jodhpuri Suits to Bandhgala Coat suits in motley of deep colors with a little embroidery work on shoulder or hems. Here in this article we are sharing Men Indian Wedding Attire for all the functions. Well, the first function that takes place before a wedding is engagement. 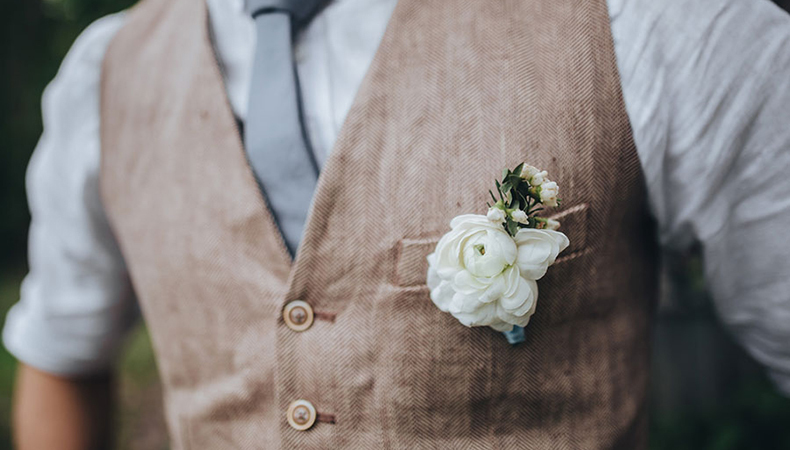 On the day of engagement grooms can wear anything from stylish to simple which very much represent their overall personality. However, there are various choices for males to choose from for their engagement, like: One can try a suit in sober color like blue, light colors, black (who would not want a man in black), or maybe one can choose a stylish kurta payjama with little work on that. If not this, simple pant shirt can also work well. If the couple know each other well, then in such case both of them can look for matching color combination which will surely add to the overall look and even the pictures of engagement will look good. Cocktail parties are common these days and kinda must in most of the north Indian weddings. In the cocktail party grooms can wear either casuals or can go for a brilliant sober suit or just pant shirt with few details. Cocktails is a celebration which is meant specifically to have fun all in all. For cocktail anywhere from formal to semi-formal and casual attire. Haldi is the celebration which takes place in the morning, on the day of wedding. Haldi celebration is very important part of any Indian wedding, wherein, turmeric paste with few other natural ingredients is applied to groom and bride. 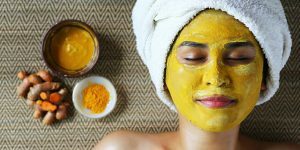 It is said to be an auspicious ceremony, also the application of haldi is said to improve the complexion and that is why Haldi function is celebrated in all the Indian weddings. For Haldi ceremony groom can wear light colored or any shade of white simple Kurta Payjamas. These simple yet beautiful kurta pyajamas look really amazing on grooms. Grooms can wear anything from simple kurta payjama to pathani kurta or maybe short kurta with payjama can also be wore along with a nice stoll to add a bit to the overall style statement of the groom. Gone are the days when grooms Mehndi was not considered that important as it was said that it’s absolutely women thing. Now even grooms have do enjoy their mehndi function. Mehndi ceremony is considered to be an auspicious celebration, whether groom wants to apply or not but it is important for both bride and groom. Mehndi and sangeet functions can be clubbed together to make it more fun and a grand event. Groom can go for a stylish kurtas or maybe he can wear kurta with a waistcoat, kurta with blazer or coats (new in trend), or a shervani can also be draped at such small family gatherings, flaunting floaral print quirky prints or embroidered waistcoat or velvet or silk jacket on kurta will look superb, primarily anything simple will looks beautiful. If, yours is a destination wedding in some far land away from your hometown than both the bride and groom’s mehndi can be planned together. In case of destination wedding bride and groom can wear some contrast colors or maybe matching can be done, bride wearing a light embroidered lehnga in shades of pink or pastels whereas groom in kurta payjama with matching details or contrasting shade. Shades of Greens, Pinks, Yellow, Orange, and White can go very well in occasions like mehndi and sangeet. Well, we all know wedding is the main function, while choosing wedding attire groom should make sure that the wedding attire is absolutely different from the ones which he wore in all the pre-wedding functions. Wedding mostly takes place at night so the groom can go with the bright colors with embroidered work on it. Mostly grooms prefer to wear shervanis on their wedding day as it looks good and very well go with the theme of the wedding. Also, second most important thing groom should consider while choosing the wedding attire is the theme of the wedding. Grooms can also buy something which very well gel with the overall theme or the wedding or can either go for contrasting attire which will look good. Albeit, age-old yet maroons and goldens look beautiful till date, more often than not, the first choice of any groom is the combination of maroon and golden. But I believe now is the time to switch to different colors which can represent your personality well. Let’s see what all variations can be done to a groom’s wedding attire…. Well, when two are on the same path of life, how about having same color combination of bride and groom’s attire. That will be befit best on their life’s big event. Even their wedding pictures will talk about the connection, bond and synchronization which they share. Just like Viraat and Anushka did in their wedding, you must have definitely seen their wedding images. Groom can wear something which is of matching colors with the bridal attire, like Viraat did in his wedding that added elegance to their overall personalities. Till date we all imagine a bride in red and the groom in golden and it is very natural for all of us. As, we have seen this trend for years, but now is the time to go opposite of what we have been witnessing in all the weddings we have attended till date. Don’t hesitate to experiment something new in your wedding as new brings freshness. This time Groom should wear red colored kurta payjama with little work on it or maybe a red colored shervani, whereas bride coming in golden lehnga an outright different combination but beautiful for the viewers and even your wedding photographs will tell a contrasting story which you will cherish all your life. Make sure that the color you both choose are harmonizing and exactly in opposite contrast, should look elegant not bizarre. We all know that one color can have varied shades, likewise bride and groom can decide to wear something in such a combination. Like Deepika Padukone and Ranveer Singh boldly found flaunting in their wedding. Deepika was wearing mint green saree whereas Ranvir wore emerald green shervani on their wedding day, and believe you me both of them were look perfect together “made for each other” couple. You can also try to adopt such style statement on your wedding by going for the same colors but with different shade of the color. Unique and beautiful look combination all in all. Your shervani will look incomplete until you put a matching element on it like kalgi, Dupatta, Turban, Safa. You can choose any element which perfectly goes with your attire to make it look complete. And the easiest and the best way to select your matching elements or Dupatta, is to match with your partner’s dress. This work really well if the couple wants to have a superb color combination and it is very popular style for that matter. You must have seen Neha Dhupia and Angad Bedi’s bridal pictures for sure where in Angad wore pink turban and Neha is wearing pink dupatta and overall it was enhancing their personalities and bringing uniqueness in color coordination. White Is Always Bright – Am I Right? Yeah, it’s not just in official meetings whites are worn even people prefer to wear white even in their weddings especially when the big day is planned for summer days. White is a soothing color and most often soothes one’s eye. White is a cool and calm color, though it is the color of serenity and your wedding is no less than any serene reason to go for white to spread the happiness. In summer weddings white looks superb you must have noticed our charming, cute Shahid Kapoor and his better half Mira wearing white on their wedding day, both of them were captivating in the attire. If your wedding is also in summer try out white, you will surely fall in love with your pictures. Everybody present at the wedding will be stunned to see simple yet smart groom stepping in. ☺ ☺ Try out!! How about going royal this season? Yes, Chipakan Style or Mughal Style Sherwanis are the gift to the Indian Grooms for their big fat weddings from the Mughal period. Just imagine the scene groom entering the wedding hall in such kingly style, giving an impression of no less than king of Mughal Period. If you are also one those who are fond of our heritage, then Mughal style sherwani is perfectly meant for you. Age old Nehru jacket still haven’t lost its charm even after many decades, can be nicely combined with the modern men’s wear to give it a classic-trendy look. Also, one can try out the different color hues to match it with the theme of the wedding. Traditional wears from Rajasthan are too good to go with for a groom, to give your wedding a traditional touch with the modern theme. There are myriads of options and choices available for the grooms too these days to have the best look on the day of their wedding. You choose the one which you feel yourself comfortable with. Also, which brings out your overall personality. 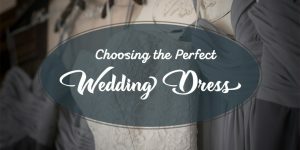 While choosing for your wedding attire make sure that you check the fabric, fitting and details nicely as these are very important aspects to consider. You have to make sure that you not only look good in particular attire but also you feel comfortable upon wearing it, because you will wear the attire for long hours maybe more than 12 hours for that matter. Here comes the reception, party with which the whole wedding is concluded with. Well, at reception groom can wear suit maybe three piece or four pieces, or some stylish pattern cut dress as designers these days are coming up with some trendy attires which look good on Men. Receptions mostly are planned at night, mostly bold and dark tone, so while buying your reception attire do consider the theme and other details related to party, it will add to the overall look. Your wedding is a special occasion and you definitely need to look your best. Go with something which best suits and describes your personality better. After all, your wedding is once in a lifetime event and you have all the reasons to go for the best. 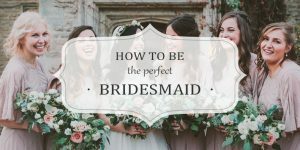 While choosing your wedding attire, besides seeing the design and style don’t miss to see the other important aspects of it, like; fabric, fitting, details and elements as these are all when combined get you the best look of yours on your special day. Also, it is very important to keep in mind that you don’t repeat colors or style in any of the wedding function. Also, while choosing the color of your attire be respectful of religious affiliations, most often black and dark blues are avoided in Indian culture especially in the main wedding. Reception you can choose black or blues. Black or Blues are totally fine in reception parties, but for wedding and other pre-wedding celebrations make sure that you go by Indian traditions. There is a lot you can do to bring freshness and look stylish on your wedding.